Founded 1939, Wiha has established itself as a leading manufacturer of professional quality hand tools and equipment worldwide. The corporate headquarters is in the Black Forest region of Schonach, Germany. Wiha has a global manufacturing foot print that includes factories in Germany, Switzerland, Poland and Vietnam. All manufacturing locations are ISO certified. Wiha is well-known for Precision Tools, Screwdrivers, Pliers and Bits. 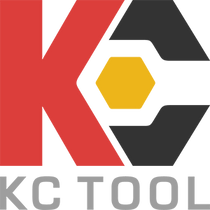 Their Insulated tool program is one of the largest selections of 1,000 Volt rated & VDE certified hand tools in the industry. The family owned company has been recognized as a TOP 100 most innovative medium-sized company in Germany. They also received the Manufacturing Excellence Award (MX Award) as the best German SME. Currently, over 900 Wiha employees manufacture and market award winning Wiha premium tools. Wiha Tools offers a No Hassle Guarantee on its products, enforcing the company’s commitment to quality and customer service. Wiha 48114 3K Magnetic Bit Holding Handle 1/4"